This is Part 1 of our investigation into Twitter’s reorganization. On May 5th, 2015, The Verge broke the news that Twitter was appointing its Chief Financial Officer, Anthony Noto, to oversee marketing. This was curious news. Nobody questions that Noto is a very accomplished man -- he was a partner at Goldman Sachs, has held the position of CFO for the NFL, and was the lead banker for Twitter’s IPO -- but his credentials are in the finance industry. And while finance requires rigor and strict discipline, marketing is about creativity and understanding your customers. Why would Twitter appoint Noto to oversee marketing? If we’re going to figure out what Noto brings to the table, we need to understand the conversations happening in marketing meetings. What are today’s CMOs thinking about? CMOs are under pressure from CEOs to bring “financial discipline” to marketing and, in turn, “drive more revenue”. CMOs are spending a lot of their time thinking about data-driven marketing and “convincing top management to invest” in their campaigns. In short, CMOs are thinking about how they can attain and measure a return on marketing investments, or ROMI. So we decided to investigate ROMI using ScribbleLive Insights, our proprietary NLP technology that parses 25 million online articles every day to analyze who is talking about a topic, what they are saying, and how much attention they are getting. It turns out that most of the opinions about ROMI have been generally positive, and the topic has been getting increasing attention over time (Figure 1). Interestingly enough, there was a huge spike in the number of opinions about ROMI on May 6th -- yes, the day right after The Verge came out with its story. A plot of active attention, opinion volume, and sentiment of Return on Marketing Investment (ROMI) from April 9th, 2015 to June 8th, 2015. Looking at a word cloud of themes in the conversations around ROMI, four things stand out: email marketing, content marketing, marketing automation, and leveraging technology (Figure 2). What doesn’t seem to be getting much attention is banner ads, display ads, or advertisements in general. In fact, the most influential opinion in that period was by Roi Carthy, CMO of Shine Technologies, quoted saying: “Tens of millions of mobile subscribers around the world will be opting in to ad blocking by the end of the year”. And the second most influential opinion? An article by Business Week, with their analysis of the Twitter reorganization: “The CFO wants proof that the money they delegated to marketing last quarter is actually delivering a return for the business”. 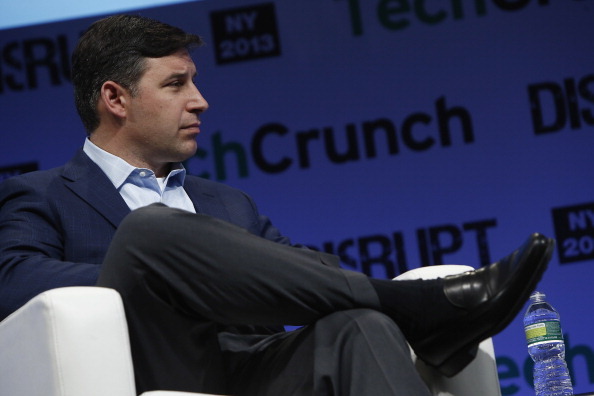 So why did Twitter appoint Anthony Noto to oversee marketing? Because, with a finance background, Noto’s focus is always on the bottom line. His first question when presented with a marketing plan will be: what returns do we expect? And he will drill this emphasis on financial responsibility and ROMI-based thinking into the Twitter marketing team, taking them from the childlike days of “This seems cool, let’s buy it!” to the adult world of “Hold on - let’s make sure we’re getting value for our money”. The challenge for the Twitter marketing team now, and for all marketers really, is to answer the following: Which marketing mediums will bring higher returns? How can you measure and prove these higher returns to top management? Join us for Part 2 of this discussion on Monday, July 13th, as we analyze the different marketing mediums and try to answer these questions.